the original Michelin tires in the sizes 130/60ZR16 and 160/60ZR16 are not available anymore. 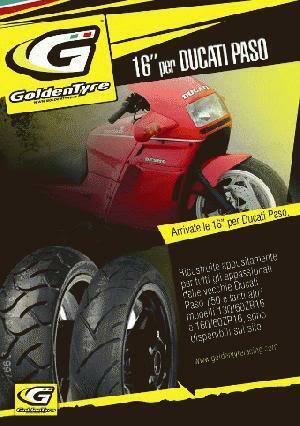 The production of the Pirelli MP7 was stopped in the early 90s, the production of the Michelin A59X and M59X was stopped in 2005 after only being produced in batches once or twice a year the years before. 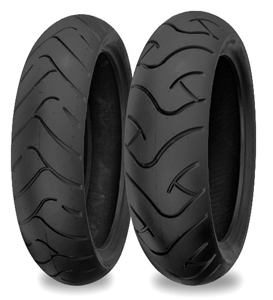 150/80-16, tire manufacturers do not recommend this tire with a 5" wide rim. However in 2009 Ducati Germany issued an official approval for this size ( http://www.ducati.de/service/reifenfreigabe_paso.php ). The tire is very high so it touches the swingarm in the front. Hence you have to adjust the chain excenter as much to the back as possible and/or modify the swingarm. The remaining possibility of adjusting chain tension will be small. 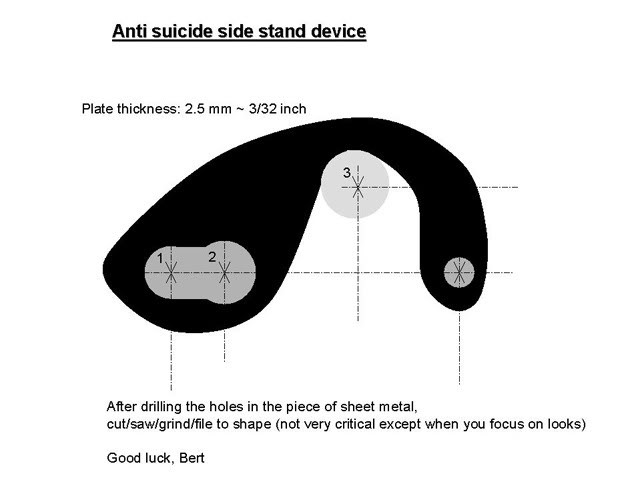 Longer side and center stand may be required. Tire manufacturers generally recommend to combine only tires with matching characteristics, meaning one should not combine a "slow/flat profile" touring tire with a with a "fast/responsive" Supersport front tire with a sharp profile. I.e. the Avon AV72 should only be combined with a AV45 front. 170/70-16 was not done yet, but it`s very likely you`ll end up with both clearance issues of 150/80 and 180/60 as the 170/70 has the same diameter as the 150/80 and almost the same width as the 180/60-16. 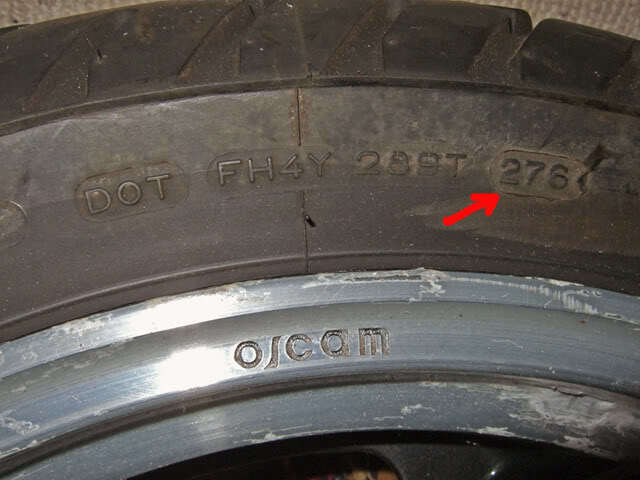 on the flank of the tire there`s the DOT number. Until the year 2000 it had 3 digits, after that 4. The first 2 digits indicate the calender week, the last the production year. So ie DOT 2306 means production in cw23 2006. To differentiate the production years with 3 digit codes symbols were added to the number. 80 is the height of the tire as percentage of its width. Hence if the tire is 150mm wide the height is 120mm. 71 is the weight index. 71 corresponds to 345kg max. load (with correctly set tire pressure. Lower tire pressure will reduce max load. At speeds above speed index of the tire max load will decrease). B stands for bias belted, R would mean radial. Note, even if sometimes it can selfretract if you`re not standing right and the bike can tip over worse can happen if you modify it and forget to pull it up when taking off. This does not cover the 907ie as it has additional relays and sensors that can cause problems. If it is an electrical problem do also open the metal strain relief below the ignition switch as sometimes it can cut into a wire. - dirt in fuel line, filter or pump causing clogging as soon as the fuel pump starts building up pressure. - old ignition coils can run fine when cold but start failing when they get hot. Same for spark plug wires. Bad or high idling of a warm engine can be caused by leak air. I.e. the carb rubber boots of the inlet manifold may start to leak when they become hot. One can use starting aid or carb cleaner spray to detect a leak. If the engine revvs up if you spray on a certain spot you`ve found the leak. HT wires can age and if a coil has cracks in the housing it can be affected by temperature or humidity. 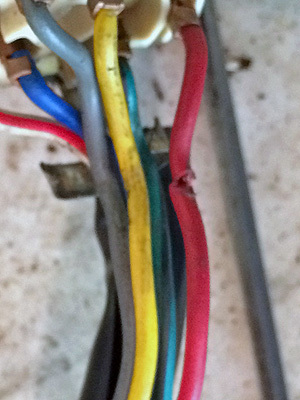 The most common problem though is the wiring with bad connections and old wires with copper rust. Measure the voltage at the coils and CDI units (orange wire) and if it isn`t nearly the same as the battery voltage clean the kill switch and all electrical connections (specially the main ground connections) then do the wiring mod. One indicator of low voltage at the coils is if the dropped out cylinders kicks in when rpms are increased. It seems that if there`s a voltage issue it`s most often the rear cylinder that drops out. Electrical resistance of bad connections does increase with heat btw. To rule out parts like CDI units or coils swap them from one cylinder to the other (one part at a time) then see if the problem shifts to the other cylinder. If the problem remains the same the parts swapped are ok and the problem is somewhere else. Begin with the spark plugs and work your way backwards to the coils and CDIs. If the issue remains check compression and valve clearances.